Now the first time I've heard about this artist when I was about 10-12 years old. I was with my dad's girlfriend sitting in her car when a song came on. She explained on how Micheal W. Smith was one of her favorite artist. I listened to the lyrics to the song "This is your time" I questioned my dad's girlfriend at the time's about the story behind the song. She told me about the Columbine Massacre. I stared in horror at her. The thought that you're expecting a normal day at school then two kids with guns come and end lives without leaving a reason behind "why". I listened to more of his music but I was stuck with "This is your time". I even found myself dancing around my room to it several times. I then bought his album "Healing Rain". I think I liked this album more because I felt a deeper connection to the songs more than I did to the song "This is her time". I'm of course not too much of a big religious person so I liked that these songs didn't have to deal with all religion so much. Like the song "Hang on" and "We Can't Wait Any Longer". I especially love these 2 songs. "Hang On" has that jazzy feel to it but it's a powerful inspirational song. "We Can't Wait Any Longer" is more about the issues going on in the world and us realizing that we can't stall on the issues any longer, we have to do something NOW. A little background on Micheal W Smith, he was born on October 7th, 1957 (Age:54) to Paul and Barbara Smith in Kenova, West Virginia. He inherited the love of baseball from his father who was in the minor leagues. After his older christian friends moved away to college, he began to suffer from lonliness and alienation which lead to drugs and alcohol use after graduating high school. He did attend Marshall University where he picked up song writing skills for a few semesters. He also played with local bands in Huntington West Virginia where his friend and co worker, Shank Keister encouraged him to move to Nashville Tennessee to pursue a music career. In 1978 he moved to Nashville and took a landscaping job to support himself. He also started playing with local bands but lost himself in the club seen and continued substance abuse. In November of 1979 he had a breakdown, which led to him recommitting to God. He auditioned for Comtemporary Christian Music (CCM) for higher ground keyboardist and got the job but him as lead vocals was heard a lot on CCM. In 1981 he was signed to Meadowgreen Music where he worked with famous country artist only for it to lead for him to be an opening act for Grant's concerts and recorded his first Grammy-nominated solo album "The Micheal W. Smith Project" which he also produced. Needless to say Micheal has had his ups and downs which I just discovered myself and I'm proud to see where he is now. 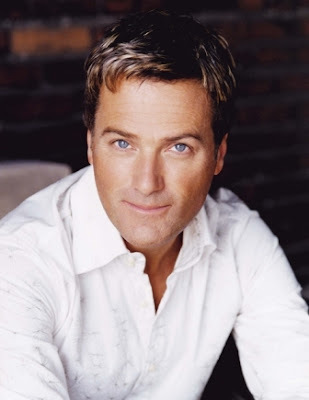 Truly an inspiration to the world and his fans.Check out more about Micheal W. Smith on his official website down below. Next review will be over Suicide Silence!